The way we enjoy entertainment is being radically transformed by the ubiquity of high-speed internet service in an always-connected world. Instead of just watching TV, today’s consumer splits time between gaming, surfing the web, watching online video content, and social media—delivered over a variety of devices including smartphones, tablets, PCs, gaming systems, and smart TVs. Consumers can find entertaining content delivered directly through the Internet (known as over-the-top or OTT) instead of over-the-air or through their cable provider. Some watch content exclusively online, cutting off cable TV altogether. Just a few years ago, “cord cutters” were perceived as overwhelmingly younger, tech-saavy Millennials. But as more providers deliver OTT television content across easier-to-use platforms, the recurring revenue OTT content generates is picking up speed. A convergence of technology allows consumers to pick and choose the content they prefer, and pay for only what they consume. Cable and satellite TV providers will have to scramble to deliver options their customers want in entertainment in order to maintain top-line revenue. Things are getting ugly; in Q2 2015, cable and satellite providers lost over half a million customers. Cablevision Systems CEO James Dolan predicted that about one-third of cable customers would migrate to OTT services within 10 years. Not all cable customers will cut the cord—many will consume both streaming and cable content. Providers who want to drive top-line growth must have the infrastructure in place to handle the massive scale of recurring revenue from both OTT and traditional content. It’s not simply a desire to get rid of an expensive cable bill that drives consumers to cut the cord. It’s true that most consumers are tired of paying large monthly bills for a host of channels they don’t watch. But without a good alternative, online television wouldn’t have taken off. It required a convergence of technology, including reliable, high-speed internet, streaming technology, easy-to-use viewing platforms, good sources of engaging content, as well as successful monetization of pay-as-you-consume programming. Traditional cable media companies, such as HBO, Showtime, ESPN, and Starz now offer content as a premium subscription, through dedicated mobile apps and/or as “channels” on Smart TVs. 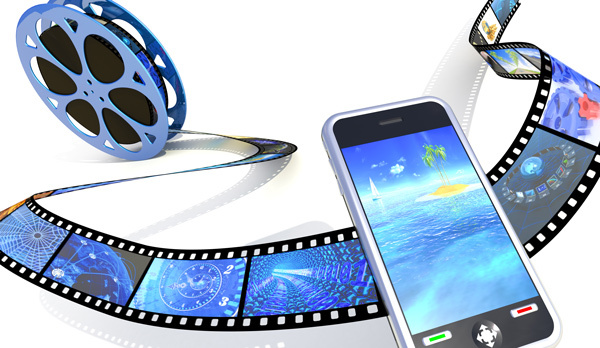 Content creators may also monetize content by making it available in a pay-by-episode or pay-per-season model using established Transactional Video on Demand (TVOD) marketplaces such as Amazon Instant Video, VUDU, iTunes and Google Play. Subscription Video on Demand (SVOD) providers, such as Netflix, Amazon Prime and Hulu operate only online, never having been a cable channel at all. For a monthly fee, you can consume as much content as you desire. These services have become popular enough to create their own original content, such as Netflix’s popular series “House of Cards” or several Amazon Original programs. Large internet players have created platforms for organizing and consuming content, from user-generated video such as YouTube to free streaming channels and content offered through various pay models. These companies offer both an easy-to-use platform and video content. The three biggest players are Google with Android TV (smart TV platform) and Google Play (video marketplace) and YouTube, Apple with Apple TV and iTunes, and Amazon with Amazon Fire and Amazon Instant Video and Amazon Prime. Innovations that make OTT easier to use, such as voice search offered by Amazon Fire, will convince more consumers to try OTT services. On the other side of the table from the web platforms are the companies that control connectivity to the Internet—namely cable and mobile communications providers such as Verizon, ATT and Comcast. Most of these providers offer cable TV services as well as high-speed internet and mobile plans. They’re losing subscribers from cable, and looking for ways to replace that recurring revenue in the increased demand for internet services over mobile devices. T-Mobile introduced “Binge On”—a service that allows their customers to stream unlimited video from OTT partners such as Netflix and Hulu—without counting toward data usage limits. Verizon has already seen $600 million in IoT revenue and sees growth in its future coming from both IoT and OTT video services. The future of OTT services and the IoT will be one of ever-increasing consumer choice and amazing new technologies. A la carte television is just one of the many benefits of this transformation. Many people love to see the faces of friends and relatives around the world as they video chat on FaceTime or Skype—both OTT video services. Businesses have embraced VoIP for telecommunications. This marketplace holds nearly unlimited opportunity for new companies with great OTT ideas and the ability to capitalize on the recurring revenue opportunities they will provide.